Following-up his hit The Age of Shadows from last year, KIM Jee-woon will be back in the director’s chair in August for his ninth film, currently titled Inrang. 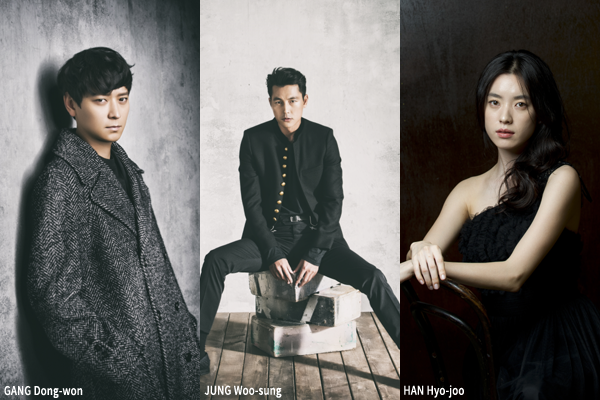 The sci-fi action title is a live action adaption of OSHII Mamoru’s anime Jin-Roh: The Wolf Brigade (1999) and will star GANG Dong-won, JUNG Woo-sung and HAN Hyo-joo. The story takes place in the near future as North and South Korea get ready to reunite after a seven year preparation period. GANG of A Violent Prosecutor (2016) is on board as an officer, working in a unit designed to quash anti-reunification terrorists, whose world is turned upside down when he witnesses a girl die before his eyes. JUNG, last seen in The King, plays a veteran officer who trained GANG while HAN Hyo-joo of The Beauty Inside (2015) is cast as the victim’s older sister. Joining the main cast will be GIM Mu-yeol of Eungyo (2012), HAN Ye-ri (Worst Woman, 2016) and HU Joon-ho (The Merciless) and Shinee member Min-ho. Released last Chuseok, The Age of Shadows, the first Korean film to be fully financed and distributed by Warner Brothers, became a significant hit, accumulating 7.5 million viewers (USD 54.68 million). KIM’s previous works include modern classics such as A Tale of Two Sisters (2003) and A Bittersweet Life (2005) as well as his Hollywood debut The Last Stand (2013) with Arnold Schwarzenegger. With Lewis Pictures of Haemoo (2014) and Okja on board as producer and Union Investment Partners financing the project, production kicks off next month in preparation for a summer 2018 release.